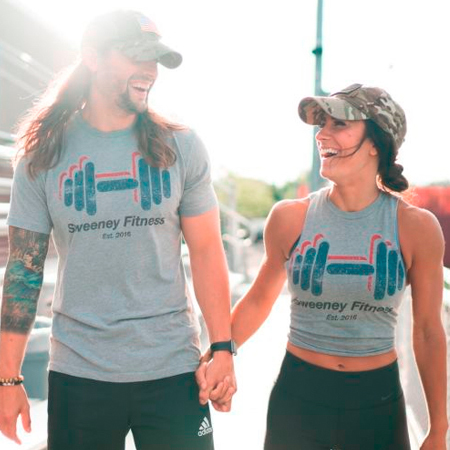 Sweeney Fitness is a Husband and Wife NASM certified personal training team! Working in person – one-on-one, partner, and/or couples training sessions, out of Los Campeones Gym in Minneapolis, MN. We also create and develop personalized online programs for those not able to be with us in the gym here in Minneapolis. More than anything we have a passion for what fitness can bring to your life and we’re here to serve anyone and everyone to the best of our abilities. Please feel free to contact us with any questions in regards to training info, pricing/package info, or any general inquiries or questions, we would love to help you along your personal fitness journey!